This latest luxury property by Away Resorts offers a peaceful stay surrounded in tropical greenery, just 20 km north of Chiang Mai's city center and 25 km from the Chiang Mai International Airport. Accommodation at the resort is in a Balinese villa style, giving guests ample privacy and seclusion in one of their 47 elegant, spacious villas. Top attractions in the area include Chiang Mai X-Center, the Viman Spa, Butterfly Farms, Chiang Mai Green Valley Golf Course, the famed Doi Suthep Temple, and the Queen Sirikit Botanical Garden. Chiang Mai city can also be easily reached in a tuk-tuk or a hired vehicle to explore the many temples that dot the city and the must-visit Sunday and Night Markets. Away Suansawan Chiang Mai Centara in Chiang Mai! Ideal for fun and relaxation, Mandadee Heritage River Village is located in the Hang Dong area of Chiang Mai, conveniently situated 17 km from both the city center and the Chiang Mai International Airport, this sumptuous hotel is a visitor's dream. The hotel is decorated in an oriental design and provides many worthy historical stories, so that guests feel that they have been transported to glorious Chiang Mai's golden age. 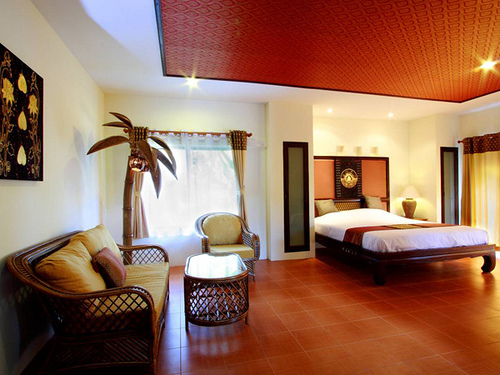 Mandadee Heritage River Village provides 23 stylish rooms. With the city's main attractions such as Mae Wang Waterfall, Changkam Temple, Jaedee Liam Temple within close reach, visitors to the hotel will just love its location and charm. Guests may also simply enjoy the fantastic view of the riverside. Marndadee Heritage River Village in Chiang Mai! 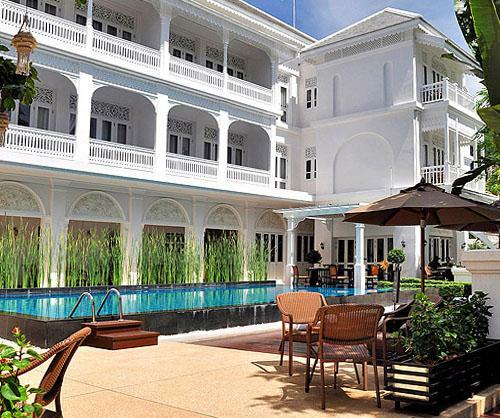 Inspired by a bygone era, the Ping Nakara Boutique Hotel and Spa is built in a colonial style of the early 1900's. Situated in quiet grounds close to the Ping River and the Night Bazaar, yet remaining in downtown Chiang Mai, and 4.5 km from Chiang Mai International Airport. Each of the 19 guestrooms at Ping Nakara is individually styled and includes a separate bath, shower, and toilet. A trip to the old city, famous temples and the popular Sunday Walking Street are all within a few minutes of the hotel. Other top attractions include the Ket Temple, Fah Lanna Massage, and the Tourism Authority of Thailand. 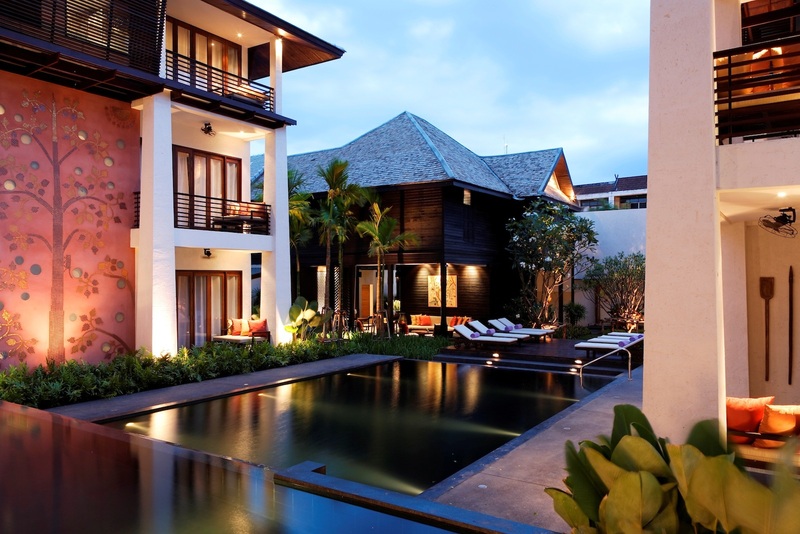 Ping Nakara Boutique Hotel and Spa, with its award-winning style, is sure to please you with its wide range of facilities and excellent service. 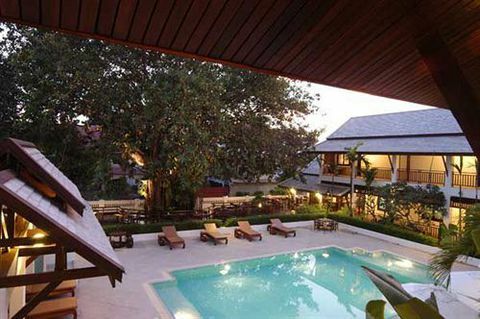 Ping Nakara Boutique Hotel and Spa in Chiang Mai! This new boutique hotel in the heart of Chiang Mai offers a peaceful haven from the hustle and bustle of the city with the convenience of being just 2 km from the city center and 4.9 km from Chiang Mai International Airport. The Rimping Village Hotel only recently opened and is fast becoming a choice accommodation for travelers with warm, welcoming, modern decor and excellent service. The Rimping Village offers unbeatable in-room facilities including a DVD player, and free LAN and wireless internet access. There is also a spacious outdoor pool and garden on hand for guests. There are many attractions nearby including the Night Bazaar, the Ket Temple, and the Riverside Bar & Restaurant for visitors to enjoy. Rimping Village Hotel in Chiang Mai! 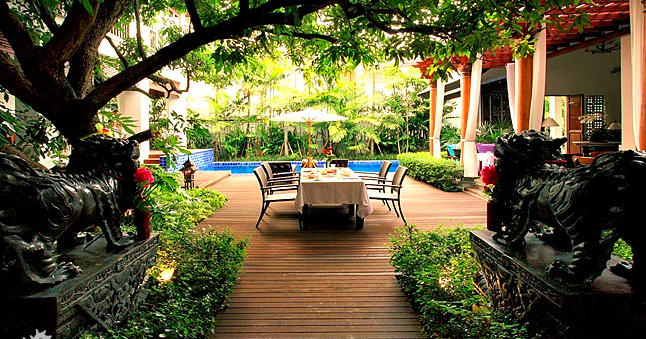 Opened in June 2008, U Chiang Mai Hotel is a four-star property offering 41 luxurious rooms amidst an idyllic setting of hotel amenities and sumptuous decor, just 3.3 km from Chiang Mai International Airport. Our U Choose programme allows guests the freedom to select their choice of pillow, soap, tea selection, mini-bar, iPod music and DVD selection prior to arrival. At the Eat & Drink Restaurant guests can savour local cuisine cooked using traditional methods. With a variety of attractions nearby, the top attractions are the Sunday Walking Street Market, Magical Elephant Training, Lanna Cultural Center, and Wat Chedi Luang near the perfect getaway property of U Chiang Mai Hotel. U Chiang Mai Hotel in Chiang Mai! Perfectly located in the center of the old moated-city of Chiang Mai, just 2.6 km from Chiang Mai International Airport, Rachamankha is set in 2 acres of manicured grounds and the architecture pays homage to Chiang Mai's golden age, the Lanna period. Offering guests a unique stay in a property with a true sense of place, Rachamankha has 22 rooms, each room is designed to provide guests with a comforting blend of the golden age and our modern conveniences. Rachmankha is barely a minute's stroll to the city's most impressive and important temple, Wat Phra Singh, as well as other top attractions such as Oasis Spa, Phra Singh Temple, Heuan Phen, and the Chiang Mai Sunday Walking Street Market. Rachamankha Hotel in Chiang Mai! The Rim is situated in the Old City along the fascinating canal in the Chiang Mai historical ramparts and moats. 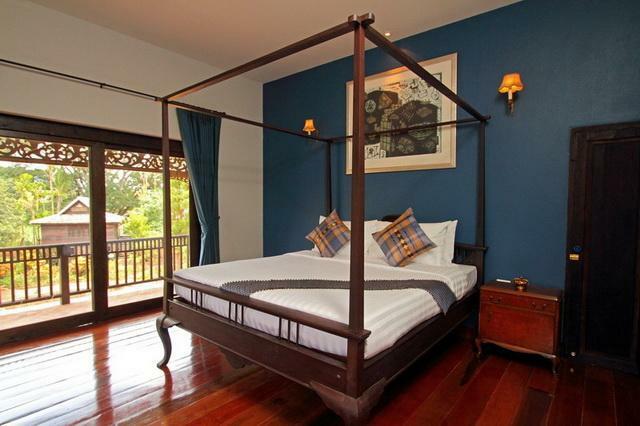 Featuring 36 guestrooms, conceptualized to a Colonial Lanna design which complements the northern Thai landscape, local arts, and handicrafts, guests can enjoy a large balcony/terrace, and all the amenities you would expect from a 4-star accommodation including free wireless internet access. An outdoor pool, fitness center, massage and garden are also available. The city's most impressive and important temple, Wat Phra Singh, as well as other top attractions such as Oasis Spa, Phra Singh Temple, Heuan Phen, and the Chiang Mai Sunday Walking Street Market are within walking distance from The Rim Chiang Mai Hotel. The Rim Chiang Mai Hotel in Chiang Mai! If what you're looking for is a conveniently located hotel in Old City are of Chiang Mai, look no further than Jangmuang Boutique House. Set 1 km from the excitement of the city, and 10 minutes from the airport, this 3 star hotel commands an excellent location and provides access to the city's biggest attractions. All 6 guest accommodations feature thoughtful amenities to ensure an unparalleled sense of comfort with modern conveniences such as free wireless and LAN internet access. The city's most impressive and important temple, Wat Phra Singh, as well as other top attractions such as Oasis Spa, Phra Singh Temple, Wat Chedi Lang, Wat Phan Tao, Heuan Phen, and the Chiang Mai Sunday Walking Street Market are all within walking distance of the hotel. Jangmuang Boutique House in Chiang Mai! At Niman is inspired by the impression of the Himalayas through the great mountain of Chiang Mai - Doi Suthep. 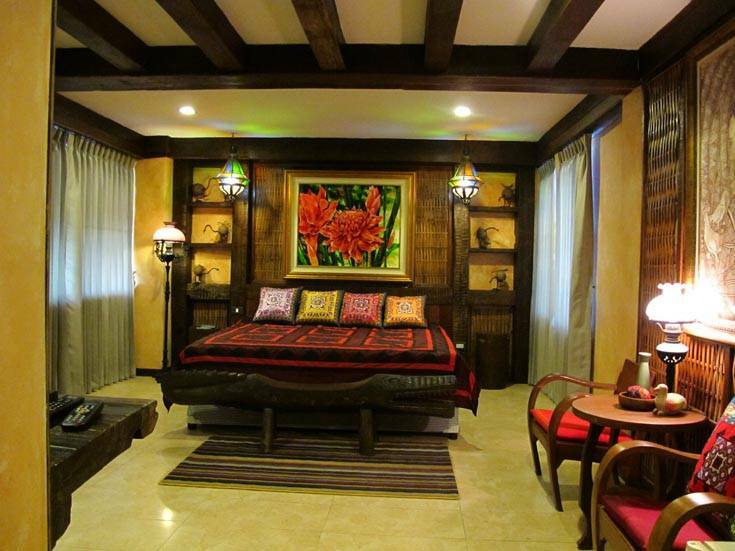 The hotel's style reflects both Asian and local influence coupled with the comfort of international accommodation. Along with its cozy accommodation, the property is centrally located 20 minutes from the airport, yet peaceful and retains the charm of authentic Chiang Mai. 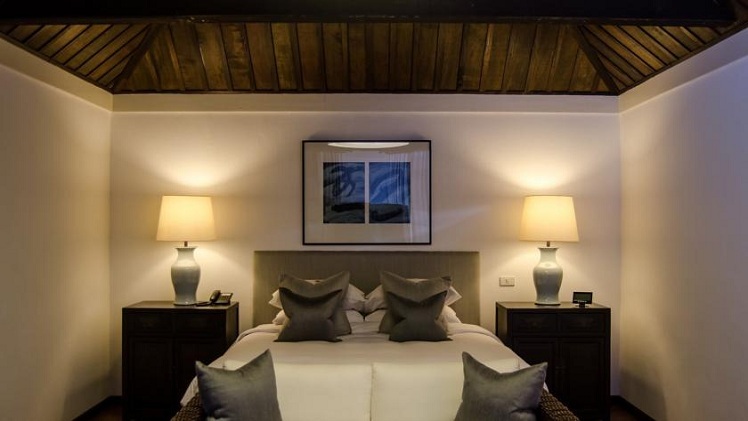 The hotel features 8 rooms, each luxurious and spacious with a range of amenities and contemporary en-suite bathrooms, candles, and aromatherapy bath products. The top attractions in this hotel's area include Tong Restaurant, Monkey Pub & Restaurant, Monkey Club, and Wawee Coffee Shop Niman. At Niman Conceptual Home in Chiang Mai! Baan Klang Wiang Hotel is located in the center of the Old City area of Chiang Mai, just 2.8 km from Chiang Mai International Airport, with easy access to sightseeing opportunities and culture-rich attractions of this area. Guests can choose from 10 rooms, decorated with traditional colours, wooden furniture, and fabrics with beautiful ensuites to ensure comfort and relaxation. Baan Klang Wiang offers amenities including airport transfer, car park, wireless internet access in public areas, and an outdoor pool to enhance guests' stay. The top attractions of this area include Heuan Phen, Wat Chedi Luang, Magical Elephant Training, and Lanna Cultural Center. Another must visit is Doi Suthep, which is a short tuk-tuk ride away. Baan Klang Wiang Hotel in Chiang Mai!